Auto body repair professionals can be considered the artists of their trade, repairing and refinishing vehicles to pristine condition. Students will receive foundational training in job-site safety and then move on to hands-on work on real customers’ vehicles. 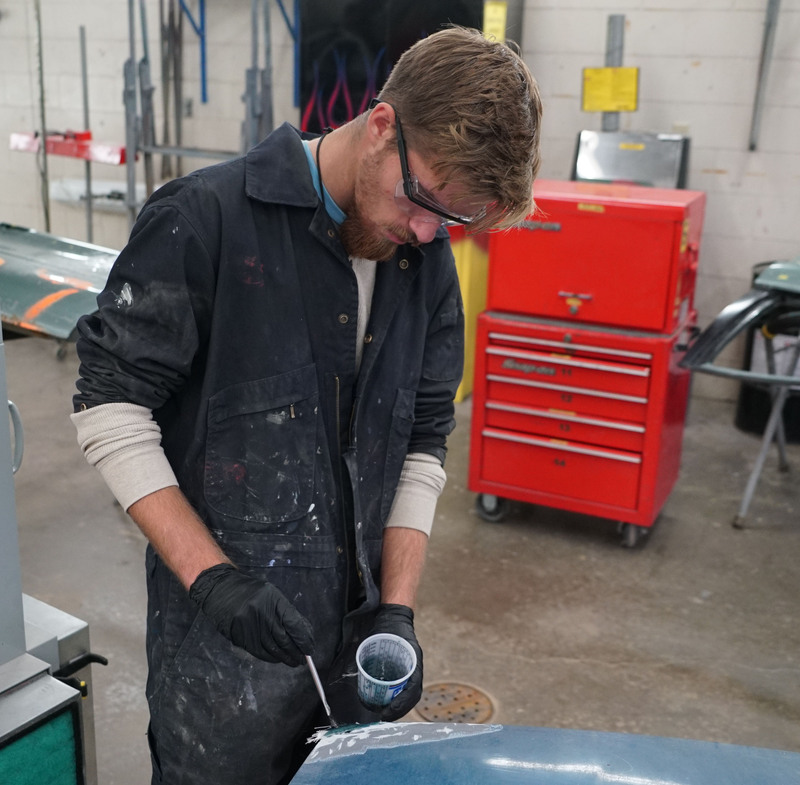 Using high-tech, state-of-the-art equipment, students will have the chance to work on many different types of projects—from dent repair, auto body refinishing and custom painting to job estimation and customer service. After graduation, students are prepared to begin careers or further their education. Sample units of study include metal straightening, use of body fillers/fiberglass and plastic repair, detailing, trim and hardware/painting and finishing. Career opportunities include auto body shop technician/paint technician, auto body estimator, shop manager, detail shop, sales representative and insurance adjuster. We have articulation agreements with Ohio Technical College, Alfred State University, SUNY Morrisville and the Lincoln Technical Institute. Students can earn 10-hour safety card issued by Occupational Safety and Health Administration (OSHA).